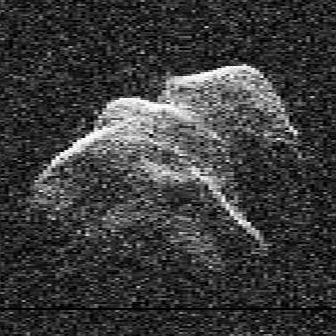 So this isn't our first closeup of the asteroid. This one is quite massive with a diameter of 4.5×2.4×1.9 km, meaning that even if it hit the planet at the exact opposite side you would still hear the impact at a volume of 50 dB and the air blast would arrive 16 hours later on your side of the planet. At 500 km away one would suffer first-degree burns with an earthquake heavy enough to damage structures, windows would shatter, many trees would be blown down, etc. But Toutatis won't hit us. This is exactly the type of area where up-and-coming spacefaring nations should be contributing. Relatively easy and nearby targets that have not been given priority by other nations. Unmannedspaceflight.com has a thread here on the flyby.